Long before my mother died, she and a neighbour friend each began compiling their own books of God’s promises from the Scriptures. After the Lord called her home, my brother, sister, and I thumbed through the pages of my mother’s well-worn, handwritten collection. What a treasure! Hundreds of promises, copied straight from the Bible in her handwriting, stared back at us. We knew—this was part of her legacy. She had even connected our names to many promises. “For Charles, I claim this promise,” she wrote. “For Luci...” and “For Orville...” she wrote about things that were on her heart. My friend, wherever you are this February, go back to the Book. Already weakening in your New Year’s resolutions? Go back to the Book. Reeling from hurtful criticism? Go back to the Book. Hanging on to your marriage by a thread? Go back to the Book. Reaching an impasse at work? Go back to the Book. Struggling to close the gap between you and your children? Go back to the Book. Wondering how you will survive your pain or give adequate care for another through his or her situation? Go back to the Book. Search God’s Word for the promises He offers you. Live in them. Walk in them. Hide them in your heart to equip you on the good days and to guide your feet home through the darkest nights. God’s promises aren’t ours because we deserve them. They are grace through and through! And grace is enough to change your life. Now, that doesn’t mean you won’t have to work. If you want to experience change, you must do the hard work that’s always required. But GRACE is the oil that frees the gears of change. GRACE is the healing balm that flows from our Lord through your soul to another’s. GRACE builds the bridge that can cross any chasm. GRACE strengthens us to endure. GRACE fuels our journey. GRACE leads you home every time. As Cynthia and I celebrate Insight for Living Ministries’ 40th anniversary this year, we give thanks for the grace God has shown us through people like you. What started as a small radio ministry in 1979 has grown into an international, multi-faceted ministry on a mission to reach all 195 nations and their 6,875 heart languages...through the partnership of people who have been transformed by grace! 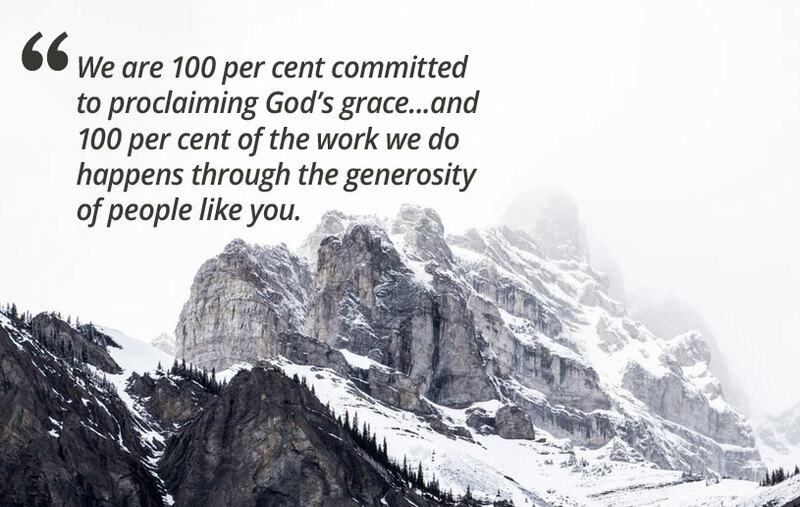 Will you help someone else experience God’s life-changing grace? Here’s how: send a generous financial gift to Insight for Living Canada today. Let’s receive and give grace every day. Let’s go back to the Book together.